Your honeymoon is just as important as your wedding â€“ in fact, even more so. When you look up honeymoon destinations, consider cost, distance and the scope of romantic fun. 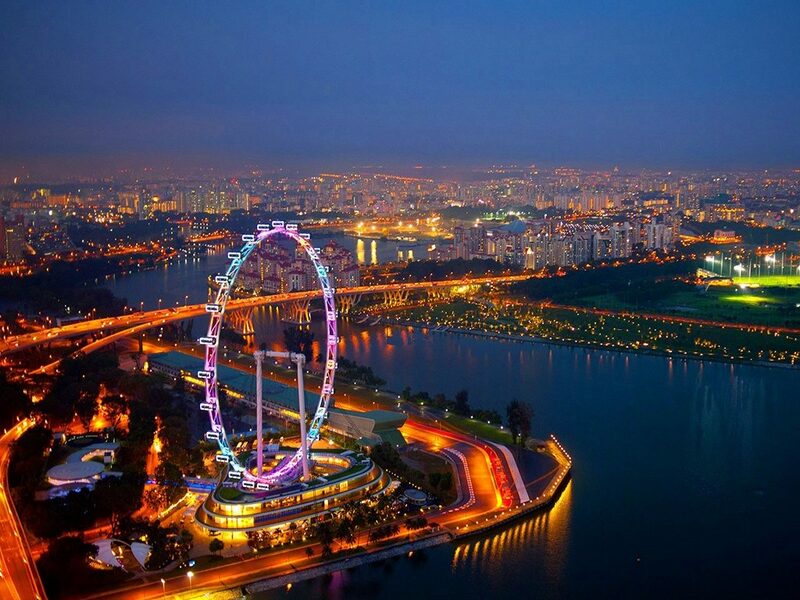 We are happy to recommend Singapore as your honeymoon destination. Singapore is vibrant, intriguing, beautiful, clean and hygienic and has warm weather the year around. Here are some of the top romantic places to visit while youâ€™re honeymooning in Singapore. How about a romantic cable car ride from Sentosa to Mount Faber? For 90-minutes youâ€™ll be absorbed in the remarkable view along the way. Watch the distant harbor and the rich boats on it. Sentosa Island with its amazing water rides and landscaping is great to watch from a height. Mount Faber is one of the most romantic places to visit in Singapore; youâ€™ll always remember it fondly. Gardens By The Bay is simply breathtaking. Rows of exotic plants vie with tall man made Supertrees that extend to the sky. These Supertrees are part metal, part glass, and part plant. Wander through the Gardens By The Bay at night, and youâ€™ll be awestruck by the brilliantly colored lighting on each supertree. Itâ€™s a magical sight, one thatâ€™ll stay in your mind for years to come. 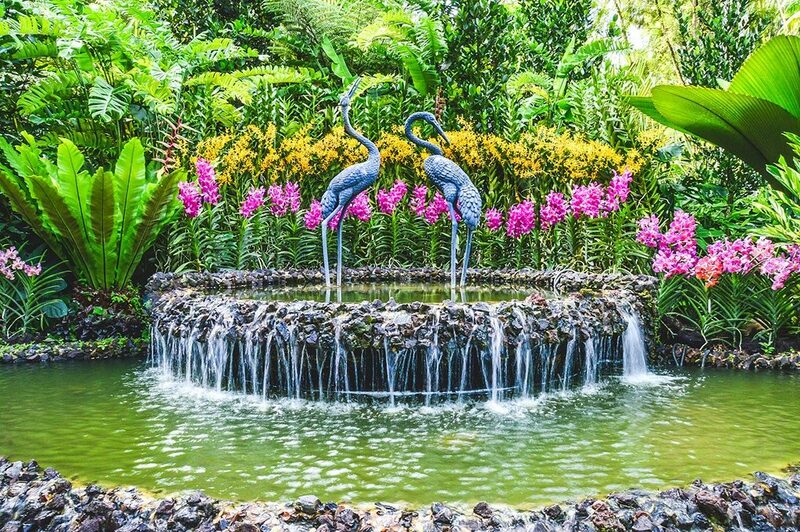 Singapore has a number of gardens you can enjoy. 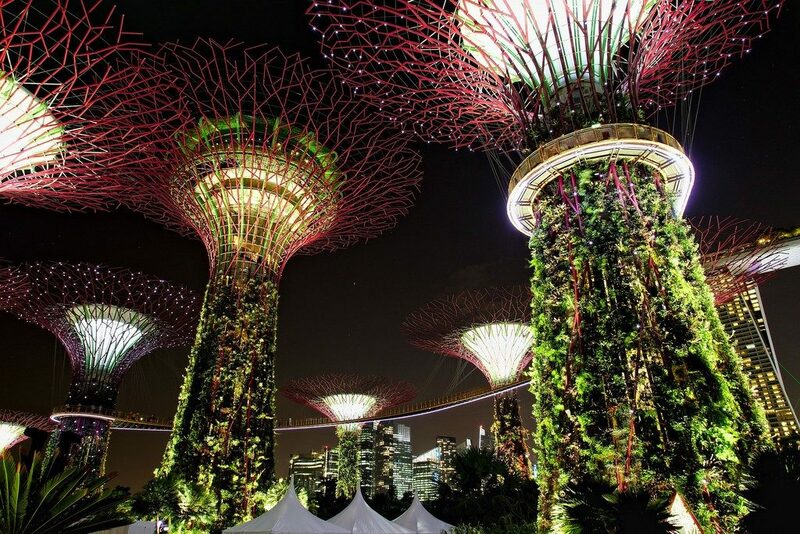 Look up garden tours with operators who offer exciting Singapore tours. Cozy up with your honey in a private little capsule on Asia’s largest observation wheel towards sunset. Youâ€™re in for a major treat. As the wheel moves up slowly, bits of the grand city around you comes into view. When you get to the top, the panorama in front of you will quite take your breath away. Watch the sun set over the Garden City, and take a selfie with the view as your backdrop. This coastal walk has six perfect walkways. The Sunset walk has lush greenery on one side with the vibrant sea on the other. The Kelong walk has been built on stilts above water. Cliff walk has lush greenery and viewing decks to watch panoramic views. 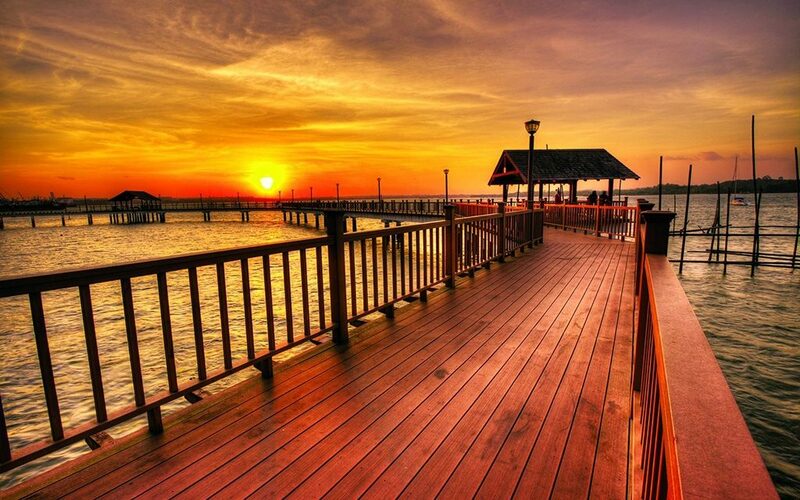 The Sailing point walk next to the Changi Sailing Club is the perfect long evening walk. Walk along admiring the lush green trees, distant boats, heritage trees, hilltop chalets and the sea. The stunning sunset feels like magic and the lovely breezes kiss your skin as you stroll. Enjoy the innumerable mini gardens filled with flowers of every hue and type. This entire enormous garden is a lush green retreat. The award-winning National Orchid Garden is the highlight of these gardens, with an enchanting collection of more than 2000 orchids. Walk through the virgin rainforest thatâ€™s part of the gardens, and enjoy a gourmet lunch at the Corner House restaurant within the Botanic Gardens. Sentosa is a manmade island with several white sandy beaches, water parks, interactive theme parks and unlimited adventures. If you want to laze on the beaches holding hands, you can do it. If you want to play water sports together, you can do it. This island offers multiple engagement points for different kinds of people. Donâ€™t miss a stroll in the Butterfly Park and Insect Kingdom or a visit to the famous Siloso Beach. A coupleâ€™s spa at the Spa Botanica is just the ticket to end your visit. This is a famous love temple located in Xiao Guilin. 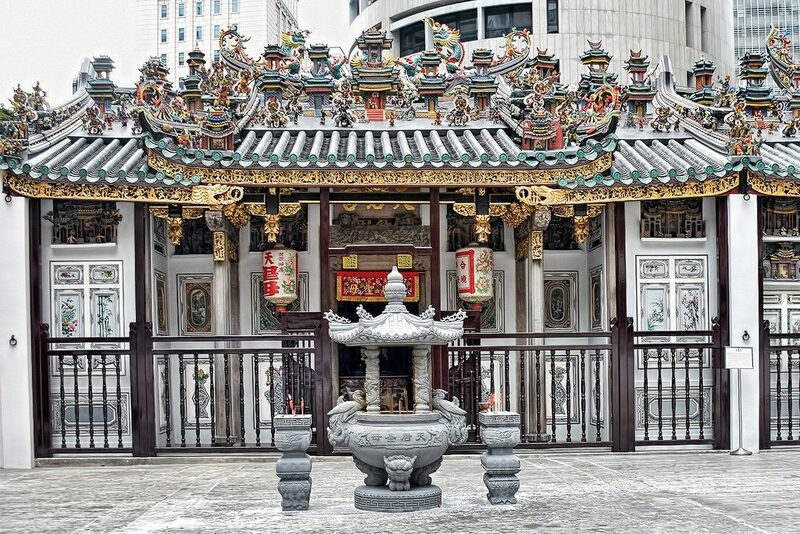 Built by Chinese craftsmen thousands of years ago, this is the oldest temples in Singapore today. Couples visit this temple to pray to the moon deity for blessings on their unity. Yue Lao, the moon deity, is known to look upon lovers benignly. Xiao Guilin is beautifully landscaped; itâ€™s a favorite hangout spot for honeymooners and wedding photographers. Honeymooners enjoy strolling amidst the lovely lake, towering cliff rocks, fabulous flower garden and pond. Esplanade Roof Garden is landscaped with small shade trees, lovely lawns, picnic tables and shady awnings. 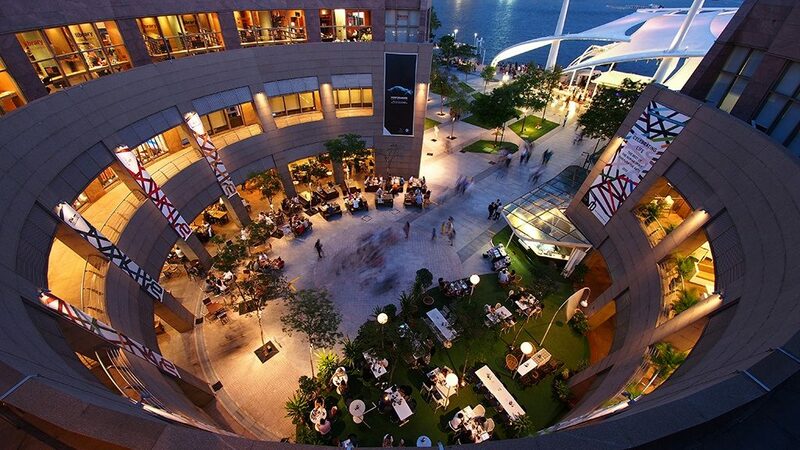 Singaporeans visit this roof garden to enjoy the magnificent views of Singapore over cups of coffee in the evening. Itâ€™s the perfect place for some cool photos of the two of you, taken against the backdrop of the lit city at night. 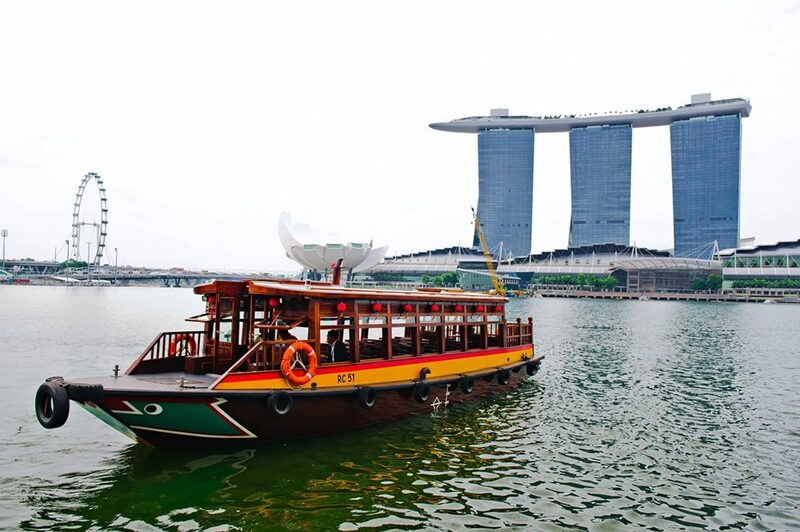 Take a cruise on the Singapore River and revel in your love for each other. Itâ€™s a lovely, breezy ride, especially after sunset, as you drift along Clarke Quay. 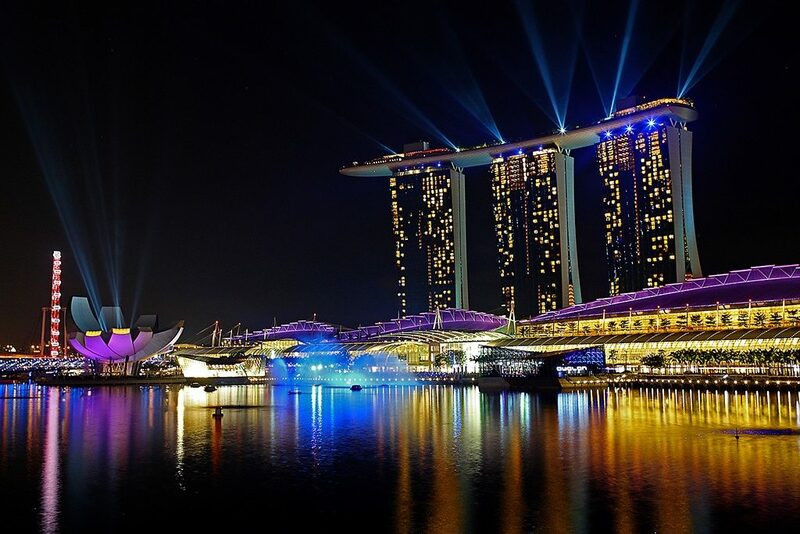 Watch the Marina Bay Sands light show from the boat. Enjoy the sight of famous landmarks such as the Merlion, the Raffles landing site, Esplanade Singapore, heritage houses along the Boat Quay, Asian Civilization museum and more. A cruise on the traditional Singaporean Bumboats at sunset is just what the loverâ€™s heart desires. Enjoy a blissful cable car ride up to the Mount Faber Park and enjoy picturesque views of the entire city. Enjoy a delicious dinner at the Jewel Box after your cable car ride, cozying up with your partner. The Jewel BoX is the best place to enjoy a romantic dinner for two. Surprise your partner with a lovely gift as you take in the perfect sunsets over the city and Marina Sands. Enjoy a lovely glass of champagne with your love on the rooftop of the KU DÃ‰ TA Club Lounge on Marina Bay Sands. Enjoy a 360 degree view of Singapore and Marina Bay Sands from the top. It is a splendid performance to the tune of fantastic music choreography that you will remember for the rest of your life. Singapore is the absolute ideal place to enjoy your honeymoon. Despite being a small island, the range of activities and places you can enjoy is limitless. The cityâ€™s natural and man made landscaping is so lovely that almost every spot is a selfie spot in Singapore.